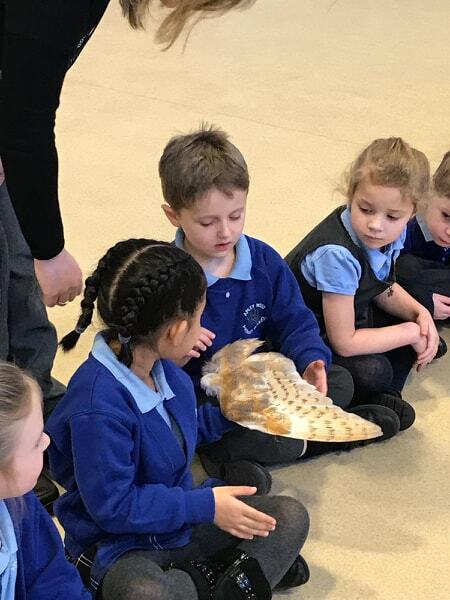 Today saw us at another school in Telford. 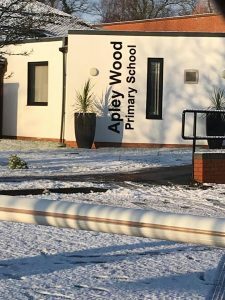 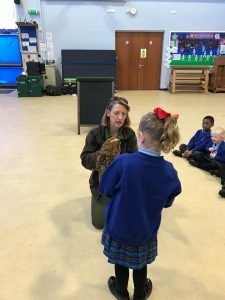 This time it was the turn of Apley Wood’s Nursery classes to have a visit from our team and Owls. Although we do have school visits to our Centre we love going out to meet children in their schools. 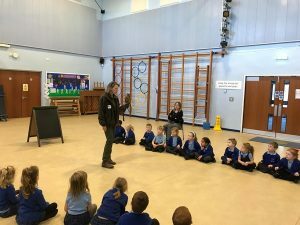 The staff made us feel very welcome it was lovely for Lisa to be back in an environment where she spent many years of her former career. 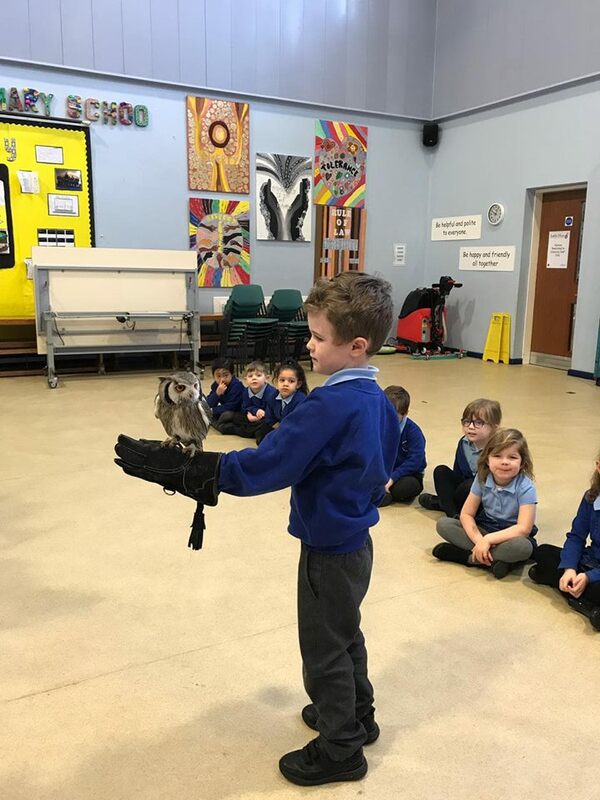 The look of concentration as Chris is carried carefully back to his perch. A snowy entrance to the school. 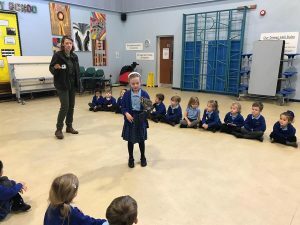 A young falconer in the making? The children were so well behaved.